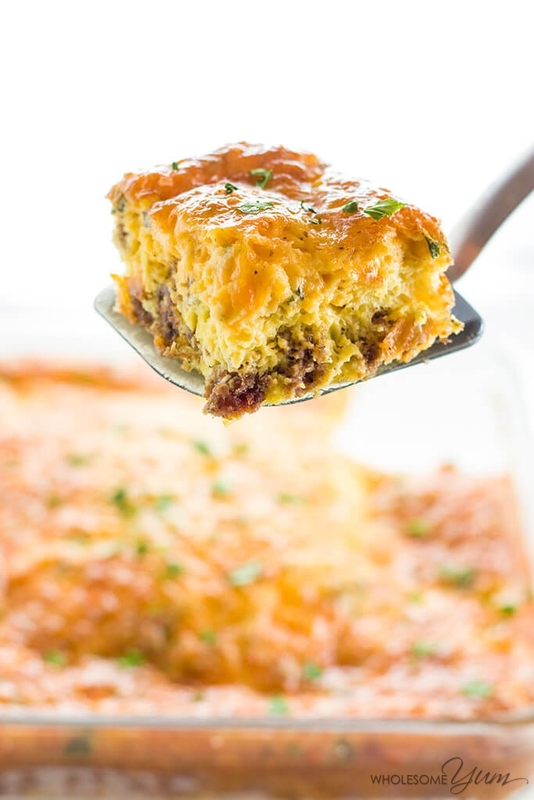 A gluten-free low carb breakfast casserole recipe with sausage and cheese - just 6 ingredients! This keto sausage, egg and cheese casserole without bread is easy to customize with vegetables, too. A healthy breakfast casserole is a delicious way to start your day…and an easy one. Seriously, half a dozen ingredients and some spices, and you have a sausage, egg and cheese casserole without bread, that will make your mouth water! I hope this low carb breakfast casserole recipe will become a staple at your house like it is in mine. 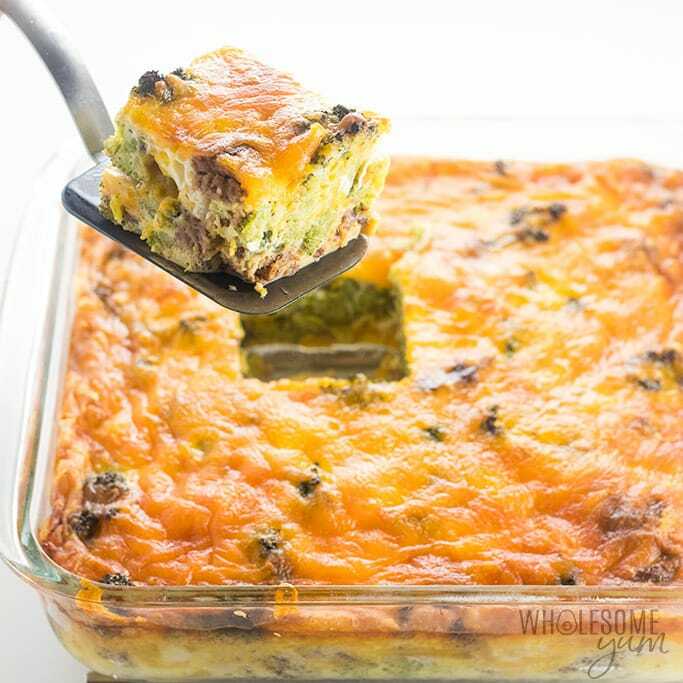 While easy keto breakfasts like a chocolate peanut butter low carb smoothie are great, sometimes it’s nice to have a hearty, satisfyingly hot meal to start the day and that is where this keto breakfast casserole comes in. When you need an easy low carb breakfast, this is your winner. 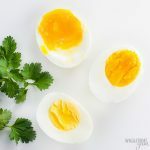 Most people might not think about making egg casserole without bread or potatoes, but you won’t even miss them when you make this healthy low carb breakfast. Pssst…want to have an even better start to your day? 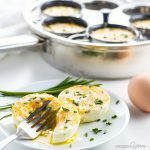 Have some keto butter coffee on the side of your gluten-free egg bake! Many people discovered the low carb breakfast casserole a long time ago, but they were new to me. Casseroles are, after all, a pretty American dish and I was raised in a Russian family. But it was love at first bite. The first casserole I tried was probably tater tot hot dish at my Minnesotan friend’s house in middle school, I might not still use those ingredients in my meals any more, but my love for this all encompassing style of meal is strong. When I started making low carb casseroles of my own years later, I quickly discovered the beauty of them. A couple of my favorites are lazy cabbage roll casserole and keto low carb pizza casserole. They are so darn versatile! You can throw in whatever ingredients you happen to have on hand, and it usually just works. Plus they make convenient meals to have around that can last for up to a week and are the perfect candidates for freezing. I probably don’t have to state the obvious best part: a low carb breakfast casserole, like any casserole, is the ultimate comfort food. There are five basic building blocks for any healthy breakfast casserole: eggs, dairy, meat, veggies, and cheese. When you blend these delicious ingredients together, you get a low carb egg casserole that is delicious enough for Sunday brunch and simple enough for a weekday dinner. You really can’t beat the ease and deliciousness of this healthy breakfast casserole! Eggs are the star of the show here. They are high in both fat and protein, but low in carbs which make them the perfect foundation for this keto breakfast casserole. But don’t fooled; this is not just a simple egg breakfast, friends. 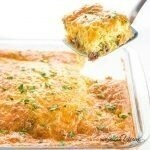 This is the ultimate low carb egg casserole, a feast for your taste buds! Heavy whipping cream is totally keto friendly and a fantastic way to get the fluffiest eggs imaginable. Scrambling the eggs and whipping cream together makes light and airy eggs that are also rich and savory. If your low carb breakfast casserole needs to fit paleo standards, simple use coconut cream instead. Really, any kind of milk you like will also work fine, but heavy cream is what will make your sausage, egg and cheese casserole the lightest and fluffiest it can be. You can get creative here. Bacon and sausage are both viable options. You could even use other meat, honestly, but these two are the best when making keto breakfast casserole. You’ll need to pre-cook your meat, whichever meat you choose, and then add it to the low carb breakfast casserole recipe. For this particular keto breakfast casserole, you’ll use sausage (because, really, it’s kind of hard to make a sausage, egg and cheese casserole without it!). Vegetables are 100% optional, but I’m a huge fan of including veggies whenever possible. In the original low carb breakfast casserole recipe, I left them out, but now I do it both ways. Veggies not only add a great flavor, but they make this healthy breakfast casserole even healthier. You will need to pre-cook them first, but how you do so is up to you. You can steam, pan fry, or roast. Just make sure you get them cooked and the moisture out, so that you end up with the right texture in your low carb breakfast casserole. Personally, I think broccoli and cauliflower are the best options for a healthy breakfast casserole. They are commonly on hand and totally delicious. You can even use your leftover roasted broccoli and cauliflower here. 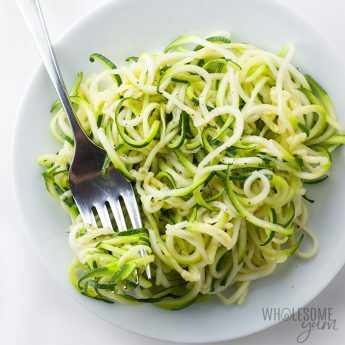 If you use a watery vegetable like zucchini or tomatoes, try to cook them in a way that makes the moisture evaporate before adding them in. For zucchini, you can drain them over the sink first, similar to how I do it when making a cheesy zucchini casserole. Again, get creative and choose whichever cheese suits your fancy (or whichever one you already have in your fridge). This sausage, egg and cheese casserole without bread would be wholesome and yummy with any cheese, although this recipe calls for cheddar (because it’s what I usually stock… and it’s good!). 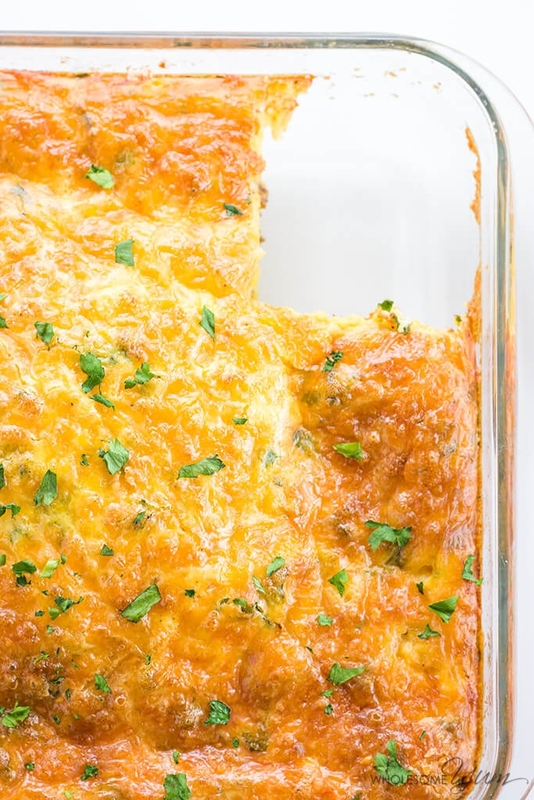 Seriously, though, this low carb breakfast casserole would be good with mozzarella, American, Swiss, Monterey jack or any other cheese you’ve got on hand. You name it! To start out, you’ll sauté the garlic in a skillet. Once it’s fragrant, go ahead and add whichever meat you’re cooking up (like I said, I’m a big fan of sausage here, but any meat will work for a low carb egg casserole). If you’re adding vegetables, go ahead and prep them. You want them cooked, but still a little crisp so they are just right to add to your healthy breakfast casserole. I prefer to pan fry them for extra flavor prior to adding to the casserole, but steaming or blanching works fine, too. Another great option is to roast the veggies. Low carb breakfast casserole is a delicious way to use up leftover roasted vegetables! Or if you don’t have any roasted, save time by roasting a huge batch, reserving half for side dishes and half for the healthy breakfast casserole. After you whip up your eggs and spices, you’ll assemble your ingredients into the perfect keto breakfast casserole! I like this 8×8 inch glass casserole dish, which is awesome because it even comes with a lid! But, you can also use a 9×9 inch one. Feel free to line with foil for easy cleanup, but with a glass dish I don’t find it necessary. Then, all you have to do is patiently wait for your mouthwateringly delicious sausage, egg and cheese casserole to finish cooking so you can dig in. Wasn’t that easy? So easy, in fact, that you can make this up at at any time to have on hand for busy mornings or even a quick weeknight meal. There are probably a bazillion and one options for breakfast casserole recipes, but in my mind the classic is a low carb egg casserole made with sausage and cheese. From there you can throw in whatever veggies you like (or leave them out altogether for a no carb breakfast casserole). Whether you choose to add them in or not, the basic recipe for keto breakfast casserole stays the same. And either way, it’s a healthy, low carb, and gluten-free staple to have around in the fridge or freezer. In this post I have some pictures with broccoli and some without any veggies. If you want to make this low carb breakfast casserole just 1-3 days ahead of time, simply follow all the steps except the baking at the end. You can cover it and store it in the fridge. Then, take it out and let it come to room temperature before baking. It’s extremely convenient as a quick meal to have on hand for busy days or just because. My toddler enjoys it, so I like to keep a healthy breakfast casserole on hand for her. It only takes a minute to heat up, lasts all week, and best of all, she loves it. Coconut flour pancakes are her other favorite – yum! If you’re looking for another easy meal prep idea for eggs or low breakfast ideas, try busy morning breakfast eggs. They’re still low carb, but also vegetarian. Aside from its everyday use, this low carb breakfast casserole makes an equally wonderful as a holiday brunch staple. I hope you’ll add it to your table in the coming weeks! It’s super easy to turn keto breakfast casserole into a freezer meal. You can freeze it for up to 3 months. To freeze the keto breakfast casserole before baking, simply follow all the instructions on the recipe card except the last step. Cover the casserole with plastic wrap, then foil on top of that, and place it in the freezer. When you are ready to bake your sausage, egg and cheese casserole, move it to the fridge and let it thaw overnight. On the day of, let it sit out for about half an hour to come to room temperature, then bake as directed on the recipe card. You can also freeze low carb breakfast casserole after baking. This is a great option for leftovers, and you can do either the whole thing or smaller pieces as individual meals. First, follow all the steps on the recipe card to bake the keto breakfast casserole. Take extra care to ensure the eggs are fully cooked, because the texture of semi-raw eggs will be a disaster after freezing. Place the low carb breakfast casserole on a cooling rack and let it cool completely to room temperature. After that, cover it with plastic followed by foil, and place in the freezer. If you want individual pieces, cut those first and wrap them separately. To thaw your healthy breakfast casserole, place it in the fridge overnight. For best results, unwrap it after the first couple hours, cover lightly, and then let it finish thawing in the fridge. This lets the condensation evaporate so that it doesn’t get soggy. Once the sausage, egg and cheese casserole is thawed, you can reheat in the microwave or oven. I highly recommend the oven to get the best texture and avoid a watery result. In a greased skillet over medium-high heat, cook the minced garlic for about one minute, until fragrant. Add the breakfast sausage. Cook for about 10 minutes, breaking apart with a spatula, until browned. If using broccoli (or other veggies), blanch them in boiling water for about 5-7 minutes, until crisp tender. Then plunge into an ice bath to stop cooking, drain and pat dry. In a large bowl, whisk together the eggs, heavy cream, half of the cheddar cheese, parsley, sea salt, and black pepper. Pour the egg mixture over the sausage. Sprinkle the remaining cheddar cheese on top. Bake for approximately 30 minutes, until the eggs are set and cheese is melted. Nutrition info does not include optional broccoli or other veggies, which will depend on what you use. Want to make the low carb breakfast casserole a day or two ahead, or make it into a freezer meal? Check the instructions in the post above! Click or tap on the image below to play the video. It's the easiest way to learn how to make Keto Low Carb Breakfast Casserole! Can I use egg substitute? Hi Kim, Yes, you can! This was delicious! I doubled the recipe for a church Pot Luck, and everyone loved it! I used a 9×13 pan, so it took an hour to bake. I used spinach instead of the broccoli, and I also added 1/2 cup sour cream. Thanks! While making this I thought no way would this fix in an 8×8 pan so made in 9×12. I added about 2 cups steamed broccoli and mixed the cheddar with some Monterey Jack. its baking now and will update you on how it comes out. I’m new to keto and looking for good, easy recipes for all three meals and snacks that have these ingredients. Meat & vegetables. So happy I came across your recipe, will be making it later today for this week. Thank you. This recipe is easy, quick, a money saver and delicious. I make a pan every two weeks for breakfast and have shared if with my family and coworkers who found it to be very tasty. Instead of meat, I use a generous layer of sliced portobello mushrooms on the bottom. Also, it is freezer friendly and thaws out wonderfully. Just made for the first time. Great! I embellished a bit because I tweak everything. Added 1 whole diced yellow onion and 1/4c Hatch green chiles late in the sausage saute to reduce their water content. Plus a little red pepper in the egg. Baked in a 9×13 for 35 minutes. Delicious and the texture is perfect. I’ll be taking a piece to work for breakfast every day this week. 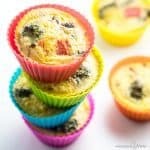 So much easier than the “egg muffins” I was making before. This recipe is delicious I followed the recipe precisely and sautéed my broccoli instead of blanching. I also added some white onion, chopped which I sautéed. Both vegetables were dry when added. When done at 30 min, I removed from oven, let it rest a few minutes while I got coffee. When I removed a square to eat, the bottom has about 1/2 inch liquid! We can’t figure out where it came from! The casserole part was good but why the watery base? Hi Mimi, I can’t say for sure when the recipe was modified, but most likely the veggies still had some water content left in them before baking. I don’t know… I made this recipe and (possibly) used too much broccoli (doubt it)? or perhaps the cheese on top sealed the dish? There was a lot of liquid in the bottom of the dish when I went to scoop out the first serving. Thankfully, putting the servings in a fry pan to cook for a few minutes saved the meal. I used delicious sausage from the Amish market. The casserole just tasted like…sausage. I see in the comments that one person cooked the dish for an hour. Another person used a 9×13 pan. 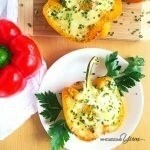 ***** Fantastic recipe! I put this together last night and baked this morning – 350 for an hour. I used 1/2 of a spaghetti squash for my base and it was so delicious! (Just added a little butter and s/p to it). I did NOT try to “dry” it first; I just plunked it in the dish as it was, and it all came out perfectly! The sweetness of the squash blended perfectly in this dish. Serving it for dinner tonight. Will serve it with berries (and grits for my nonketo hubby). Thanks for another great recipe!! This was absolutely delicious! I added mushrooms along with the broccoli and used sharp cheddar cheese. It came out wonderfully and was so easy to cut into squares to meal prep for breakfasts for the week. I will definitely make this recipe again! I never would have thought to add minced garlic to the cooking of the sausage. It gave it a really great flavor. 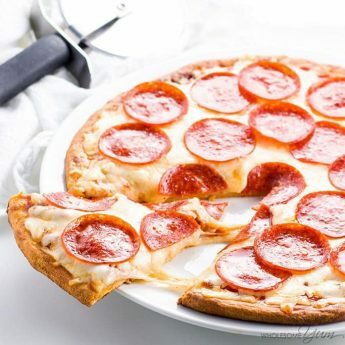 I’m very new to Keto, and am planning on making this for dinner, however, everything I’ve read says that garlic is a no-no for keto because it’s actually high in carbs. I looked on the USDA food database and it says it’s 3g net carbs per 1tsp. If 2tsp=1 garlic clove then this recipe would actually be 12 carbs in the garlic alone? What am I missing? Hi Maggie, A clove of garlic is approximately 1/2 tsp minced, not 2 tsp. Garlic is definitely keto friendly. And, I’m a big advocate of (non-starchy) vegetables, herbs, spices, and aromatics, including garlic. This was easy to make and tasted fantastic! As you suggested I added my own touches, using yellow mustard for spice, ham & sausages, and swiss & cheddar cheese, as well as lots of broccoli. The heavy cream really did make it fluffy – I didn’t think it would make such a significant difference – great to learn something new. Super filling and even though I tend to eat large portions with this meal, a small amount fills you up quickly. 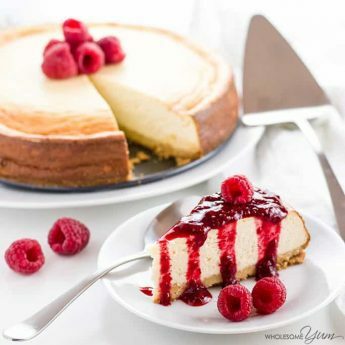 Any recommendations or modifications for making this in the instant pot? The ingredients are all approve for pot in pot cooking, but uncertain about timing… Ideas? Hi Darin, I’m sure you could make it in the Instant Pot, but I haven’t tried that to say for sure. Let me know how it goes if you try it! It was delicious! Swapped unsweetened almond milk for the heavy cream. My daughter has egg allergies. Can we use egg beaters instead of eggs? Hi Carol, Egg Beaters are made out of eggs. Are you thinking of vegan egg subsitute? If so, yes, you probably could. I’m not sure if the baking time might vary. Hi, I made this today and it was so good! I used ground pork, mushrooms, spinach, diced green & red peppers. Also added a few pieces of crumbled bacon on top before the additional cheese. Baked in a 9×13 oval dish and 30min was perfect! Love this recipe. I add lots of vegetables so it is not just a breakfast meal. I just put this in the oven and can’t wait to try it! I browned my sausage, then added green pepper, broccoli, and mushrooms to the saute pan until the mushrooms were caramelized. If gave the veggies a nice smoky flavor :). Thanks for a great recipe! I hope you like it, Rose! Hi Brian, The temperature is in the instructions on the recipe card above. This is delicious. It’s hard to find a recipe incorporating sausage that is so low carb, so thank you Maya! Another winner!! I am so happy you liked it, Doreen! Thank you! Where did you get the caloric numbers here? Every calculator I have entered this in, is giving me almost 500 calories per serving (without the veggies)? Hi Nicole, The nutrition info comes from the USDA Food Database, which is more reliable than 3rd party calculators. Any discrepancies are likely based on the ingredients used, the calculator, or the number of servings. It indicates that a 3×3 square is one serving, and the whole thing has 9 servings. That’s less than 2 eggs/serving. Is this designed to consume something else with it? Is it ok to consume more and still loose weight? That 3×3 is only 1 carb. I guess I wonder with much of these sort of “eat as much as you want as long as it’s low/no carb” diets, at what point is something “too much”? Hi Lynn, There is more in the casserole than just eggs, so it’s still pretty filling with the meat, cream and optional veggies in there. But, you can definitely have more than 1 serving depending on what else you have that day. 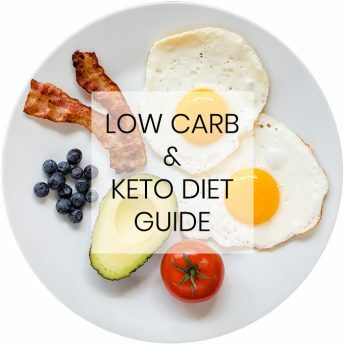 It’s possible to gain weight on any diet, even keto or low carb, so I wouldn’t look at any diet as “eat as much as you want” – BUT keto and low carb diets regulate hunger and blood sugar, making overeating much less likely. 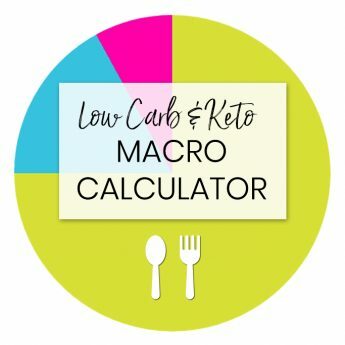 Some people still find it necessary to count all their macros and total calories, while others are fine just eating keto/low carb foods. I really like this recipe. I doubled the meat, drained it, then put it back in the pan with 8oz of cream cheese until melted in. I also opted out of the broccoli . Taste great! I am happy you liked it, Michael! Please come back again soon! Delicious! I love having simple keto recipes! Is has been the key to my success staying on it these last 7 months. 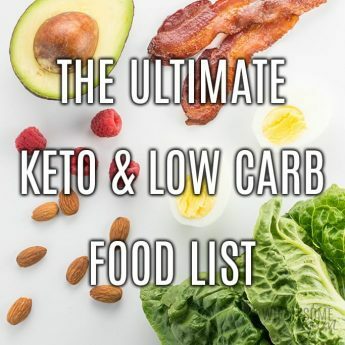 I tried going keto last year and got off because some of the recipes were too complicated, took too long, and were not as good as I thought they would be. so glad that there is much more information out there now. I am so happy you liked the casserole, Christine! Thanks fro stopping by! Loved this! Made this for a brunch attended by a friend on the keto diet and she gave it 5 stars. Decided to make it “Denver omelette” like with cubed ham, green pepper and onion. So good! I am so happy you liked it! Please come back again soon! I just prepared and baked this 6 ingredient, low carbohydrate egg, sausage and cheese casserole. It’s actually quite good! The eggs set perfectly (I left the casserole in the oven for just an additional 2 minutes; 30 minutes in my oven wasn’t quite long enough.) and the sausage and garlic (plus the yummy cheese, of course!) combination makes it super flavorful. I’ll be trying other recipes, as long as they are low carbohydrate. It is my way of eating and the only diet I really feel healthy eating. My doctor is on board too – I had spoken about it a few years back because I was concerned about too much protein consumption with only one kidney. I’m good to go and that’s awesome because I love eggs and all the low carb options available! I am so happy you liked the breakfast casserole, Stacy! I am about to try this recipe but want to know if I can mix it all up at night and cook it the next morning. Or should it be cooked right away and reheated the next day? Thanks. Hi Georgia, Yes, you can mix it the night before and cook in the morning! That usually has a better result than reheating, but you can do either. Easy to make and tastes delicious even after being frozen! Being fairly new to cooking, I was a little shocked at how great it looked and tasted! I am so happy you liked it, Eugene! Thanks for stopping by! Turned out pretty bland IMHO, so I doubled the sausage, added onions and bell peppers to the pan with the sausage, added cayenne, dropped the salt and replaced with a good bit of Cajun seasoning (Tony’s or the like). Topped with generous Louisiana style hot sauce when serving. Hi Derek, Thank you for sharing – that sounds delicious! The recipe was designed to act as a base that you can customize any way you like. I do plan to update it a little soon to add some veggies, as I think it would be better and more balanced that way. Not sure if I’m missing something but at what point do you add the cloves? Hi Lisa, It’s 6 cloves of garlic. They get added in step 1 of the instructions. Do I use breakfast sausages or just the mince out of the breakfast sausage? I can’t break up the sausage as per the instructions, I would have to dice the sausages. Hi Meri, dicing the sausage would work just fine. The point is just to not have full sausages in the casserole. What kind of cheese would you recommend, does it have to be reduced fat or fat-free cheese to keep the nutrition facts that are listed up here? Hi Amanda, I use full-fat cheddar cheese for this recipe. If you use a different kind, it will probably change the nutrition facts. I’m guessing this could be put together the night before and kept in the refrigerator until ready to bake? Half and half is okay instead of heavy cream, right? How much would you consider to be a serving? Hi Lindsay, one serving would be a 3″x3″ piece of the casserole. Hi Maya! I made this Christmas morning and it could not have been easier or more delicious. No subs or additions this time, but this casserole would be a great blank canvas with different veggies or types of sausage. Thanks for all your recipes and Happy New Year! Thank you so much, Kristen! Happy New Year to you as well! Hi, looking to make this for Christmas morning but wanted more for the family. If I use a 9×13 dish can I just double the recipe and assume cooking time is about the same? Thanks! So sorry, I just saw this! Yes, that should work fine! It might take a little longer to cook, but not by a lot. The cooking time is all wrong. Cooked it for 30 minutes and the top was done, but the egg mixture was still very uncooked. I only found out when I attempted to serve it. Hi Teresa, Sorry that happened. I’ve made this several times and it was always cooked through. Could it be that your oven runs cool or you used a different size baking dish? I have the same problem. Not all ovens are the same. You just keep cooking it for 5 minutes at a time until it comes out cooked. You could also try increasing the temperature to 400. It’s difficult to keep it balanced without burning the top. I have made it quite a few times now. You can use milk or even eggnog instead of cream and it still turns out great. You can use different types of sausage and cheese, too. If you use a sausage that doesn’t break apart, then chop it into very fine pieces or else the texture is very different. Or possibly even grind it or use a food processor. If you use a sausage that is fully cooked, you don’t even have to cook it ahead of time – you can skip that step. If your sausage already has garlic in it, you can skip that part, too. I freeze each square to make a quick breakfast during the week! Great recipe, especially for those of us who have to eat gluten free and low carb. Thank you, Suzanne! That’s exactly right in terms of the cooking time. A higher temperature will likely burn it, so you could cook it longer at the lower temp, or if you increase the temperature, just cover it with foil once it starts to brown on the top. When you freeze it. How do you heat it up the next morning? I added freezing and thawing instructions to the post above the recipe card! What temp do you recommend? Baking temperature is 375 degrees. Thank you for stopping by, Brian! Hi! I have requested the free recipe ebook three times but still have haven’t received anything. Can you help? Hope that helps! Thanks for subscribing! Can half and half be used in place of the heavy cream? Hi Kathy, Yes, absolutely! The nutrition info would be a little different – less fat and a little more carbs. How long does this keep in the fridge and freezer? Hi Traci, I’ve kept it in the fridge for close to a week. Probably several months in the freezer. What kind of sausage do you recommend? I’m having trouble understanding the no sugar part. When I look at sausage from the store, it says 0 grams of sugar in the nutritional information section, but the ingredients list sugar. Is that okay? Hi Brenda, The reason the nutrition info says 0 grams, even though the ingredients list sugar, is because the amount per serving adds up to less than 1g, so manufacturers can get away with writing 0g. The FDA allows this if the amount per serving is very low like that. Ideally, you’d get a sausage without sugar in the ingredients list at all (also watch for other names for sugars, like corn syrup or maltodextrin). But, it comes down to personal choice. If all you can find is what you mentioned, it probably won’t stall you too much since the amount is so small. Hope that helps! Hi Carrie, A serving is a 3″x3″ square. Can this be made ahead and frozen before cooking? Hi Tanya, Absolutely! Just freeze it uncooked and covered in plastic. Let it thaw in the fridge for 24 hours prior to baking in the oven. Has anyone tried to freeze this? Just curious how it would reheat? I like pre-cooking things and then just reheating especially for camping. Hi Angie, Yes, you can freeze it. For best results, thaw in the fridge for 24 hours before serving, preferably unwrapped so that any condensation evaporates. Then, you can reheat in the oven or microwave, but I recommend the oven to maintain texture. I wish someone could help me. My husband is diabetic and has just now taken it seriously, but I have no recipes. He is totally bread, meat, and potatoes, total country. If you could help me with ideas to cut back and still eat what he loves, I would appreciate it. Hi Sue, Good for you and your husband for trying to eat healthier. I hope the recipes on this site can help! I have several low carb bread recipes, like these tortillas and this English muffin, and more to be posted in the coming months. There are plenty of ways to incorporate meat in healthy recipes, and cauliflower often makes a good substitute for potatoes. You can look for more ideas in the recipe index here, where you can find recipes by category, diet type, or just search. Looks beautiful. Could you use almond milk instead of heavy cream? Yes, you can! It’ll be a little less fluffy, but I’ve made it that way too and it’s still very good. Hi Maya! Do you think I could divide this up into individual portions and freeze them for later? Definitely! That sounds like a great idea. Just wrap tightly to avoid freezer burn. I’m doing that next time I make this. I have been making this for years! It’s best with Swiss, cheddar, and Monterey Jack cheese. Oh, you are so right. These types of dishes are so easy and versatile. I make my husband a very similar quiche or casserole a few times a month for his breakfast to bring to work. He never tires of it. Yours looks beautiful. Thanks for sharing. I love breakfast the best! This looks great to make in advance and reheat in the mornings when it’s crazy at my house, & I’m short on time, but starving. This is a great dish to prepare ahead. Making it! Wow this looks so wonderfully filling! !